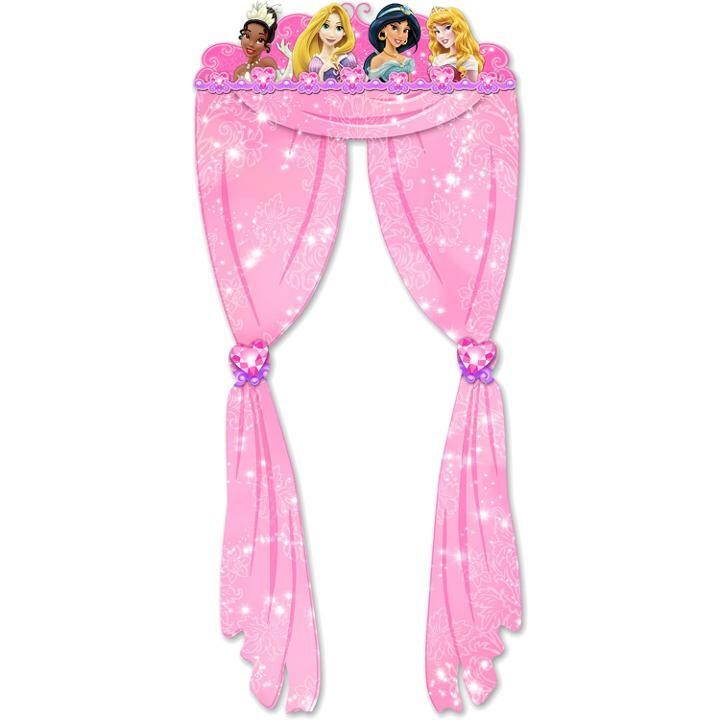 Receive the princesses to the royal ball in style with this adorable Disney Very Important Princess Dream Party Doorway Curtain. Featuring some of the most important princesses: Tiana, Rapunzel, Jasmine and Aurora. Disney Very Important Princess Dream Party Doorway Curtain includes a paper top piece stitched to plastic curtain to match your party theme. Measures approximately 69" H x 36" W. This is an officially licensed Disney product. 69 in. x 36 in.